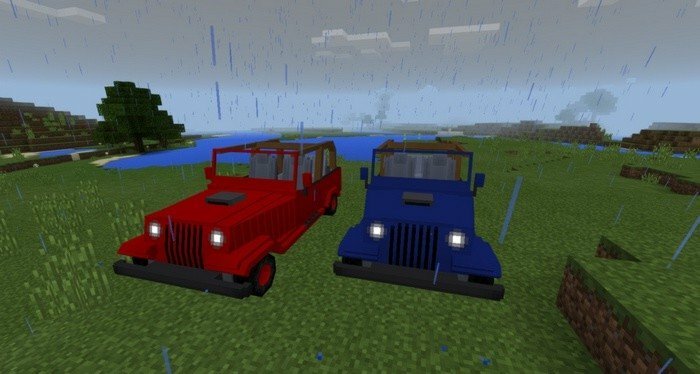 The mod adds big and sturdy cars that looks like Jeeps - maybe the best way to travel through Minecraft world. Those vehicles will be faster than ever and they won't consume gasoline, you will need only the carrot on a stick to drive on them. 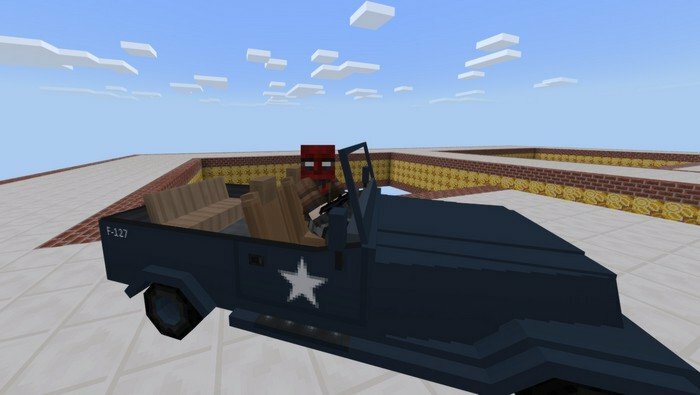 The only problem I've noticed is that sometimes you can stuck in textures for unknown reasons, but you can dismount and then mount again, to fix it. 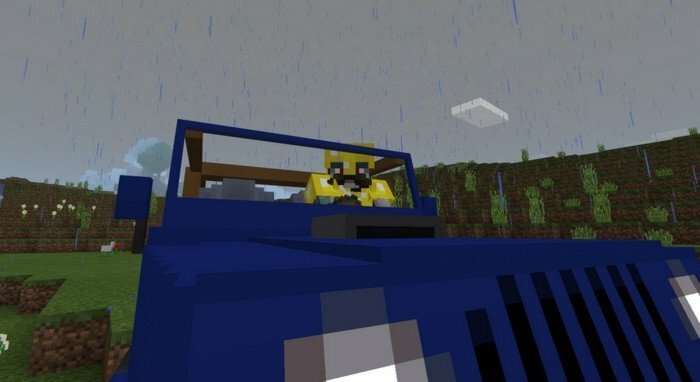 Using the Cars mod for Minecraft PE 1.1.0 you can make your life easier and travel around the world faster and safer. Reason: Added two military skins and updated the behavior.